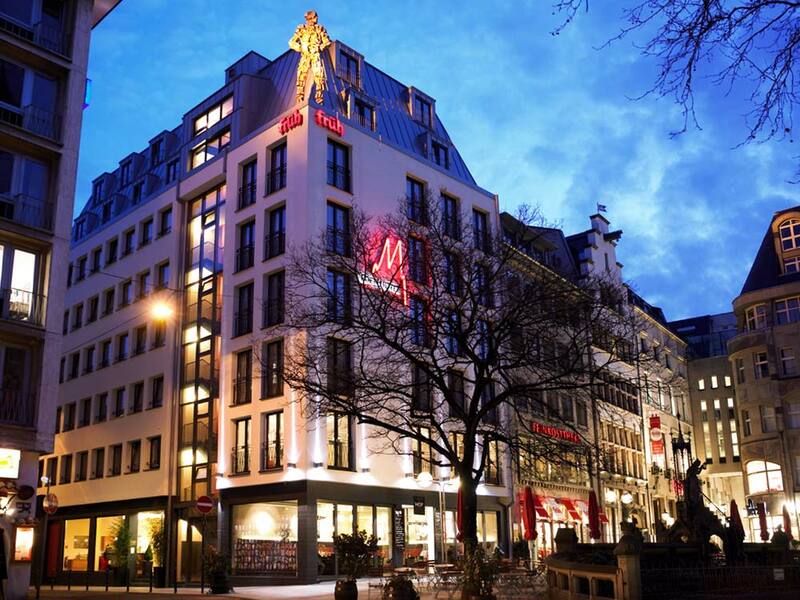 “FRÜH” has always been standing for Cologne hospitality and enjoying life in good company! 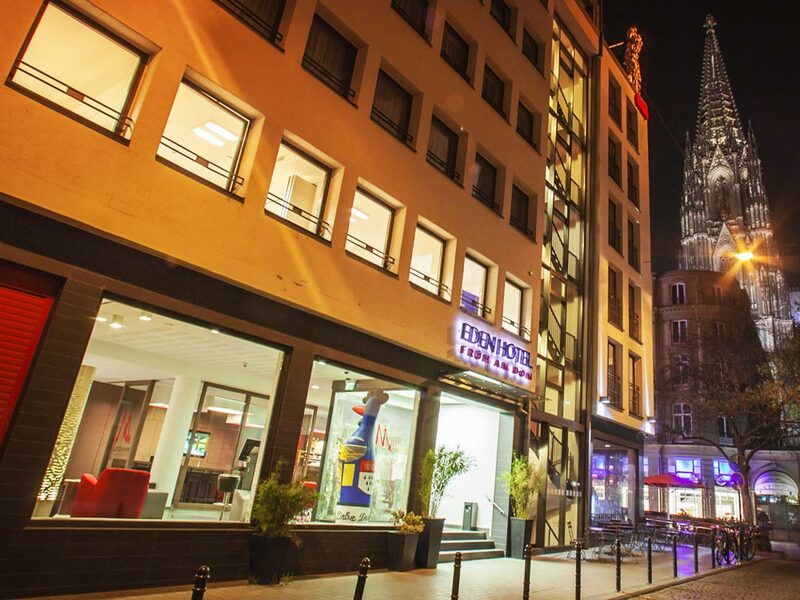 Stay overnight in the midst of the bustling heart of Cologne, directly opposite Cologne Cathedral, a 2-minute walk from Central Station, surrounded by numerous shops and nightlife options, the Hohe Straße shopping street, the Roman-Germanic Museum, Cologne's historic town centre and by museums, numerous tourist attractions, the banks of the Rhine, the Hohenzollern Rhine bridge with access to the Cologne Trade Fair grounds, the theatre and Cologne Opera, all of which are within walking distance. You can't be more in the thick of things than this! 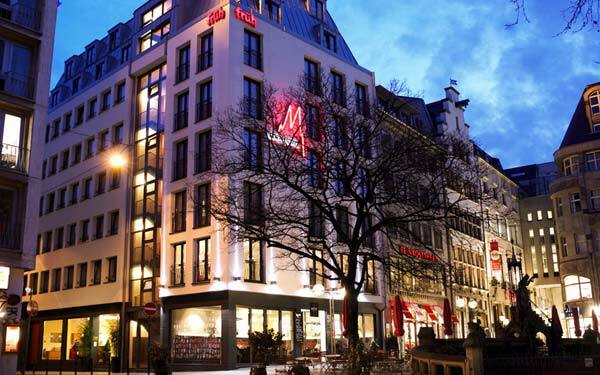 The Eden Hotel Früh am Dom is the ideal starting point for cultural explorations and doing business, or just wandering around the city centre of Cologne. The neighbouring Brauhaus Früh am Dom with its modern HOF 18 Restaurant and Bistro offers dining variety on 3 floors - a must for any visitor to the city! 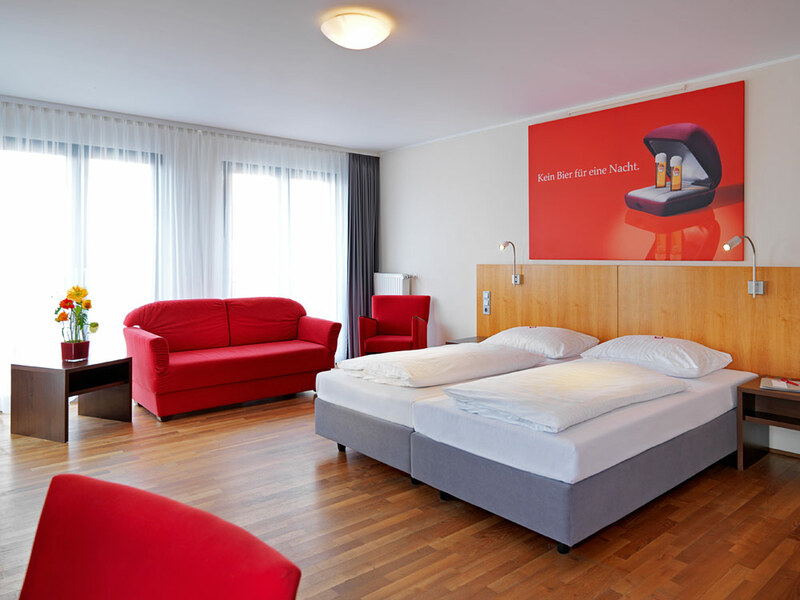 Our modern Eden Hotel Früh am Dom offers 77 rooms and a Junior Suite. Enjoy your stay in a peaceful place right in the midst of the bustling city. The spectacular views and modern furnishings give the rooms a spacious atmosphere. 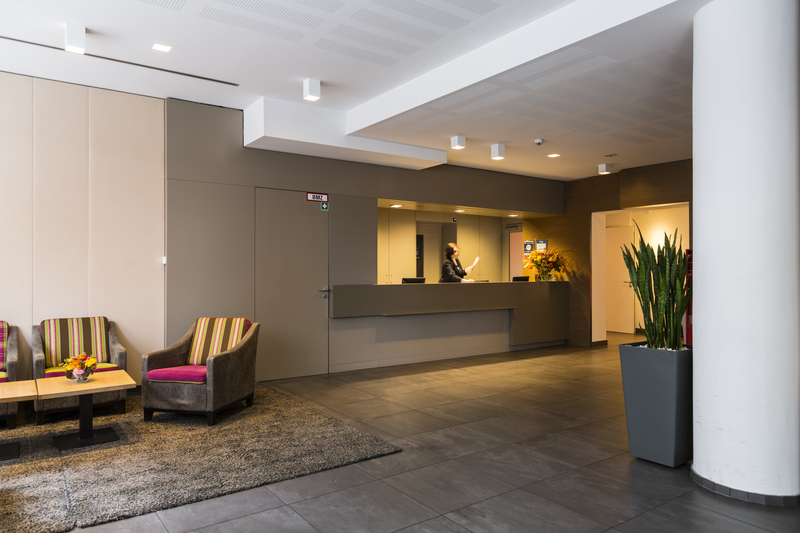 All rooms are equipped with bath or shower, cosmetic mirror, hair dryer, safe, minibar, flat screen TV, telephone, wireless LAN, desk and coffee and tea station. 5 meeting rooms for up to 150 guests offer the perfect setting for any event. ...in our exclusive FRÜH Lounge over the roofs of Cologne. 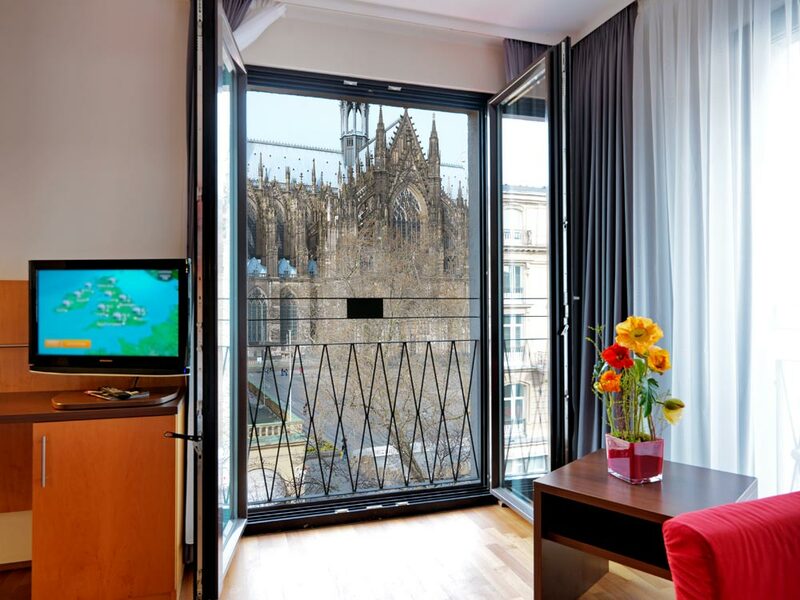 The modern and bright function room offers a direct view of Cologne Cathedral.